Dental Implants are a tried and trusted way to replace missing teeth. However, a condition associated with dermal implants may potentially occur if not properly managed by an experienced dentist. 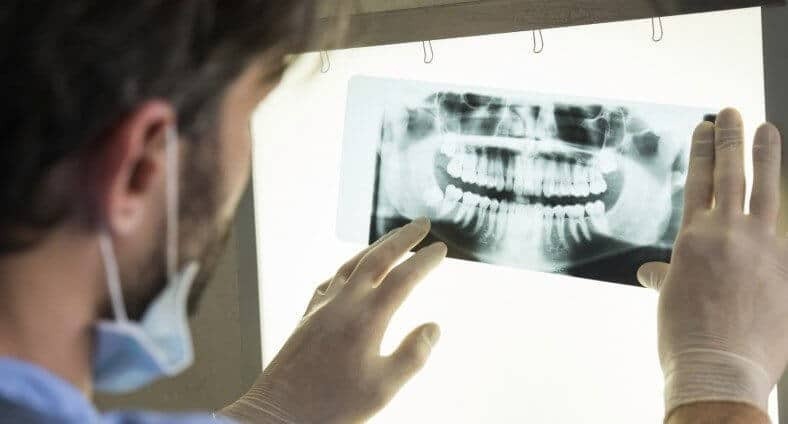 Peri-implantitis is an infectious disease that causes the gum and bone sorrounding dental implants to inflame that can lead to the loss of the implant’s supporting bone. The bone loss occurs for a variety of reasons and slowly occurs without the patient even being aware of it. The good news: peri-implantitis is not a common occurrence and most patients never develop the condition. The bad news: it’s unfortunately a very difficult condition to treat. Once pain occurs, it is usually not sharp, but rather a dull ache with tenderness when touched or brushed. Additional symptoms include a bad taste in the mouth, swollen neck glands and a loosening of the dental implant. The first step in correcting your dental implant is at the dentist. Make sure you choose a dentist who routinely sets dental implants with a proven track record, such as Dr. Mark McCauley. The main goal in these situations is to slow bone loss to a halt in order to maintain the dental implants. The area will need to be thoroughly cleaned and antibiotics will be prescribed. Once the area is cleaned, the dentist will be able to take a better look at it and assess the damage. In most cases, surgery and bone grafting will be required to fix the bone loss. During this procedure, your gums will be opened to detoxify the area and kill all bacteria before the bone is grafted to the implants. Only time and healing will tell if the procedure will work, but usually chances are pretty high. And just because one dental implant fell to peri-implantitis doesn’t automatically spell failure for other implants. The best form of prevention for those with dental implants is to remain mindful of the condition and watch for it ahead of time.